"The entire staff is very professional. I highly recommend the practice." "Trust this team with your dental work. There's none better!" "They are a wonderful team and I cannot recommend them highly enough." "Dr. Trizzino's office was amazing! They were so helpful & kind." "Dr. Trizzino and his staff are extremely friendly and detailed oriented." "They are wonderful! Caring, compassionate & funny." "If you want something done right, you see Dr. Trizzino." Dr. Ed Trizzino is a board-certified dentist who provides passionate, top-quality general and cosmetic dental care in a warm and welcoming environment to patients of all ages at Smiles of Atlanta, located in Atlanta, Georgia. Smiles of Atlanta is proud to serve the dental needs of Atlanta, Alpharetta, Roswell, Dunwoody, Cummings, Buckhead, Milton, Brookhaven, Tucker, Woodstock, Duluth, Acworth, Suwanee, Canton and Norcross. Whether receiving crowns or a routine examination, patients appreciate Dr. Trizzino’s commitment to excellence and attention to detail. These traits result in restorations that routinely outperform the national averages. This longevity results in a sound return on your dental investment. Dr. Trizzino’s commitment to his patients doesn’t stop at providing long-lasting, high-quality restorations. He believes that the key to having healthy teeth that last a lifetime is educating his patients about the importance of preventive care. Good systemic (total body) health provides the best chance to maintain great oral health. Nutritional and stress management are routinely discussed. Dr. Trizzino is so committed to excellence that he schedules only one patient at a time, allowing his complete attention to only your needs. This is in contrast to dentists using three or more rooms filled with multiple patients at the same time. Dr. Trizzino has been using mercury-free restorations for over 25 years. Dr. Trizzino has completed thousands of hours of continuing education and is skilled in the most advanced concepts and technologies available. He is revered for his expertise in cosmetic dentistry and has taught cosmetic veneer courses for a major dental company. His commitment to excellence was evident even in dental school. At Emory School of Dentistry, he graduated fourth in a class of one hundred students. Based on his commitment to excellence during his time at Emory, he was accepted into the Dental Honor Fraternity, OKU. Dr. Trizzino has resided in Atlanta since 1971 and has lived in Dunwoody since 1983. He and his wife attend the Northpoint Community Church pastored by Andy Stanley and Passion City pastored by Louie Giglio. Dr. Trizzino considers his practice to be faith-based, knows that God is his true boss, and has written several testimonials about his faith. Dr. Trizzino and his wife, Melissa – whom he still refers to as his bride – recently celebrated their twenty-sixth wedding anniversary. They have four children: Jennifer, Michelle, Edward and Austin; five grandchildren and growing; and have adorable 14 pound Pomsky named Max. Dr. Trizzino enjoys racquetball, tennis, and golf. as your Family & Cosmetic Dentist? Smiles of Atlanta single books your appointment so we concentrate on you, and only you, during your appointment. Why is single booking so critically important to you and your family? Instead of having patients in multiple treatment rooms at the same time, you or your family member are the only ones scheduled. This allow Dr. T to concentrate his entire attention on your needs and only you. This allows him to provide higher quality dentistry that usually outlasts national averages, providing you and your family a greater value for the hard-earned money being invested. This kind of commitment to sacrifice income in order to provide superior dentistry clearly distinguishes Dr. T's entire team and will not be found in most other dental offices. We use a holistic approach to dentistry, which focuses on your entire physical as well as emotional and spiritual health. As a courtesy to our patients, we are happy to submit your dental insurance claim the day of service and we will accept assignment of benefits. "Favorite dentist I have ever had. Always friendly and very personable with his patients. Have recommended to many friends who also love them as well." "I have been a patient for 15 years. My oral health was poor, I needed a lot of dental work. He fixed my gums and loose, broken and missing teeth." "He and all of the staff here delivered exceptional service with attention to detail and excellence." 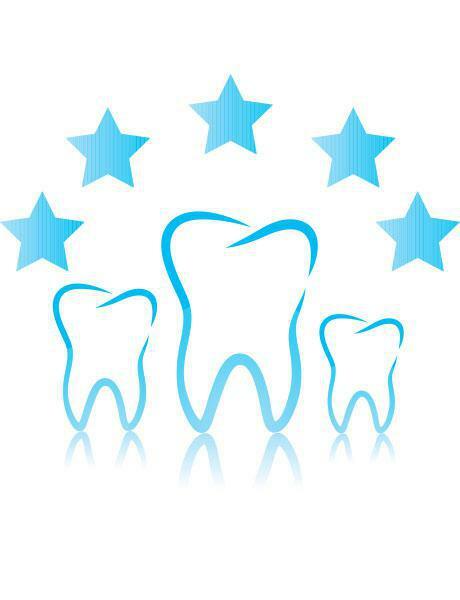 "He was a wonderful dentist and his assistant was very friendly and attentive. I felt like they treated me like family." "Initially, I had many dental problems. Dr. Trizzino has addressed the problems and maintained my dental health." "The only practice I have ever been to where the dentist does the cleanings and only sees one patient at a time. Overall highly recommend!" "There are simply not enough good things I can say about the team at Smiles of Atlanta. Each and every visit is better than the last."